Ice dams are usually caused by heavy snowfall and improper ventilation in the attic. 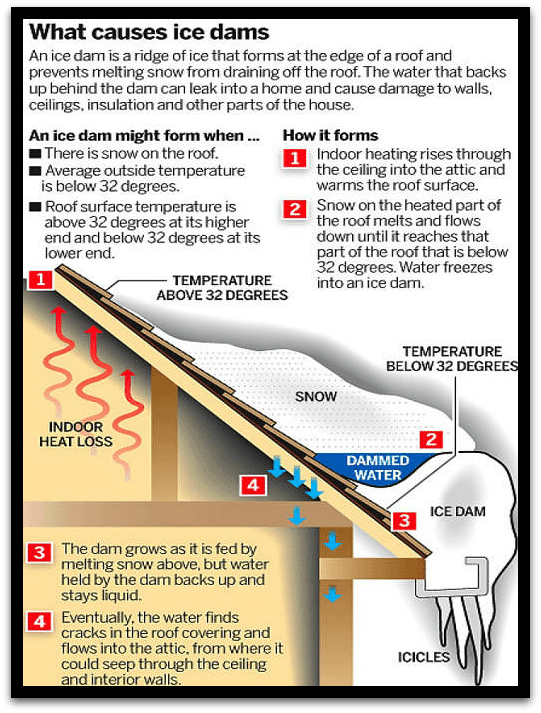 This causes warmer areas in your attic then the snow begins to melt, even when the outside temperature is well below freezing. 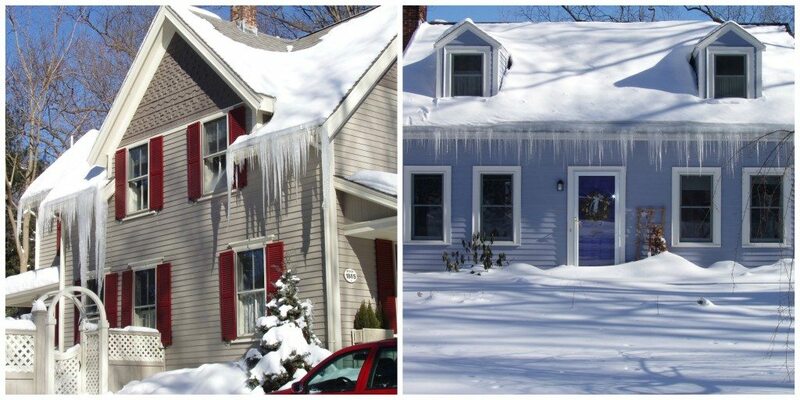 When the accumulated snow on your roof starts melting it runs down your roof underneath the snow until it reaches a “colder” section like the soffit’s, valleys or in gutters then it begins to freeze again, this process of thawing and refreezing is what causes an ice dam. 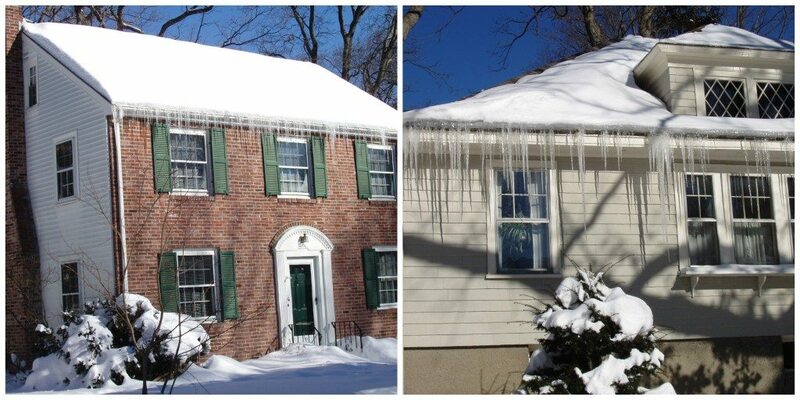 Performing ice dam removal is risking severe personal injury and damage to the roof if not done properly. 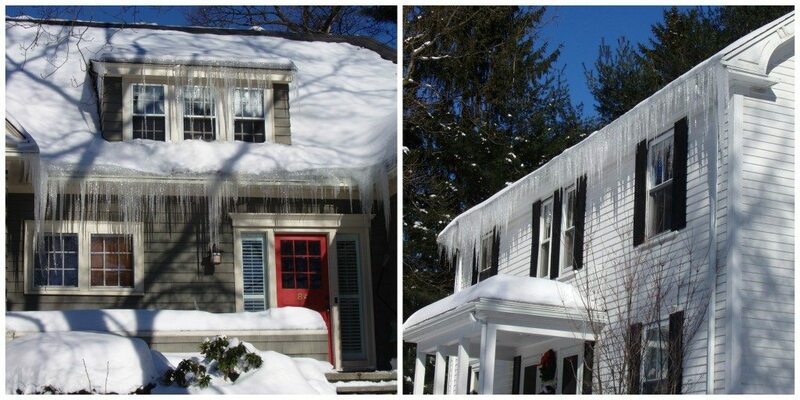 Never walk on a snow covered roof and make sure if you’re going to use a ladder you follow the proper safety procedures. We highly recommend contacting professionals (like Landmark Roofing) with the proper equipment and roofing experience to carry out this job.